The 34.14m Inace explorer yacht Fortrus has joined the Ocean Independence charter fleet with Daphne D'Offay in Fort Lauderdale. Following an exciting journey through the Northwest Passage, Fortrus will make her way south to the Caribbean where she'll be available for charter from January 2013. She sleeps up to 12 guests in six staterooms and has a charter-friendly crew of seven. 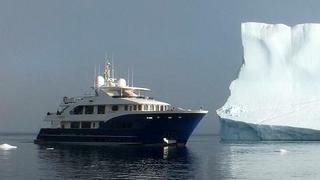 Weekly charter rates on Fortrus start at $72,500 plus expenses.